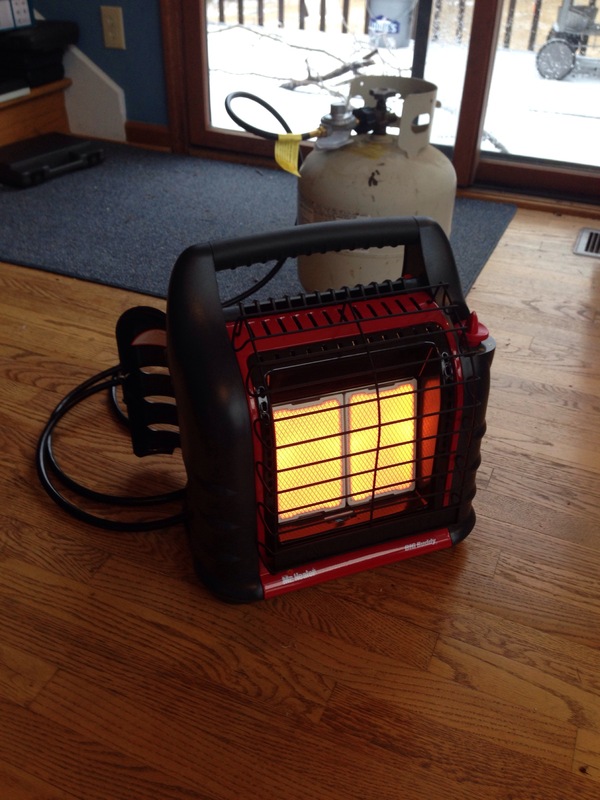 I took the opportunity of the ice storm we had back in March to do some heater testing. The daily highs were in the mid to high 20s and the evening lows were in the low teens. My home is an A frame style, with about 700 square feet open to a pinnacle of 25 feet or so. This is the room I chose as a test location. I used the central furnace to raise the temperature to 65 degrees. I then lit my test heat source and turned the central furnace down to 60 to see how well the heat source maintained the heat. The kerosene heater kept this room nice and toasty all day. It’s a 23kBTU unit that was my grandfather’s but they still sell similar models. 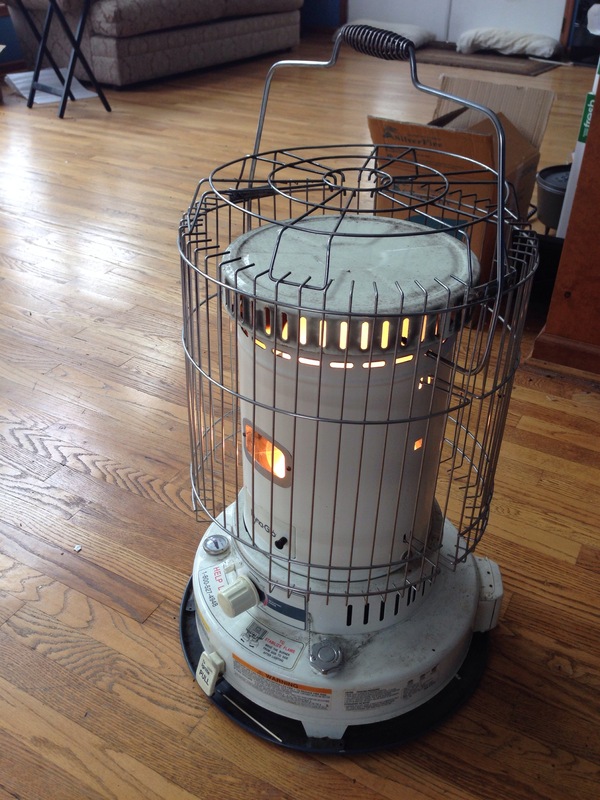 Cons: In order to avoid smoking, you have to run a kerosene heater like this almost full blast, so if it gets too hot, you turn it completely off. Also, it’s messy and a bit of a hassle to refuel outside. This is a great unit, but with this much volume, it really struggled, with temperatures dropping to around 60 within a few hours. It would probably have down well without the extra volume created by the vaulted ceiling. Note that I did not use the built in fan, which might have helped. I’ll try that at my new opportunity. Pros: Pretty much odorless and easy to use. It has quite a bit of turn down (ability to run at lower output) so if you get too hot, you can turn it down lower. These are thermostatically controlled logs, about 22kBTU and worked about as well as the kerosene heater above, with very little temperature drop. Pros: Got the job done, with little odor. They are also connected to the large bulk tank that supplies my stove and furnaces. Cons: There really are none. I will likely use the propane logs as a quick response heat in an outage, then supplement with kerosene if I’m around the house all day. Should I need heat at night, or need to cloister myself in a smaller room for a longer outage, the Mr. Heater Big Buddy will be my solution. What solutions do you use for backup heat? Preparing To Thrive, Proudly powered by WordPress.